Rahul Khanna, a simpleton from Bangalore has hit rock bottom since the time he has invested in his most ambitious dream home – a towering apartment in Jayanagar, Bangalore. One must be wondering as to what went gravely wrong despite his ambitious dream being fulfilled? His major folly was his hasty decision of investing in a property without vetting all the legal property documents fearing that he would lose the deal. But alas! This minute slip by him has today put him in a legal battle with the seller. Property documents are a vital part of any property investment, be it an empty plot or a fully furnished apartment. Here is a list of important property documents required to buy an apartment or an independent house. A Sale Deed is the core legal document that acts as proof of sale and transfer of ownership of the property from the seller to the buyer. A Sale Deed has to be mandatorily registered. It is important that before the Sale Deed is executed one should execute the sale agreement and should check for compliance of various terms and conditions as agreed upon between the buyer and the seller. Before executing the Sale Deed, the buyer should check whether the property has a clear title. He/she should also confirm if the property is subject to any encumbrance charges. * A seller should settle all the statutory payments such as property tax, cess, water charges, society charges, electricity charges, maintenance charges etc., (subject to the agreement) before executing the Sale Deed. Mother Deed, also known as the parent document, is an important legal document that traces the origin/antecedent ownership of the property from the start (if the property has had various owners). It is a document that helps in the further sale of the property, thereby establishing the new ownership. In case of absence of the original Mother Deed, certified copies should be obtained from the registering authorities. Mother Deed includes the change in ownership of the property, be it through sale, partition, gift or inheritance. It is very important that the Mother Deed records the references to previous ownership in a sequence and should be continuous and unbroken. In case of a missing sequence, one should refer to the records from the registering offices, revenue records or the recitals (preamble) in other documents. The sequence should be updated until the current owner. A building plan is sanctioned by the BDA (Bangalore Development Authority) or BBMP (Bruhat Bengaluru Mahanagara Palike) or BMRDA (Bangalore Metropolitan Region Development Authority) or BIAPPA (Bangalore International Airport Area Planning Authority) without which the construction of the building is illegal under the Karnataka Municipal Corporations (KMC) Act. A building owner has to get an approved plan from the jurisdictional Commissioner or an officer authorized by such Commissioner. However, the authorities sanction a building approval plan based on the zonal classification, road width, floor area ratio (FAR) and plot depth. A set of documents are required to be submitted by the owner in order to obtain a building approval plan. The documents include- Title Deed, property assessment extract, property PID number, city survey sketch (from the Department of Survey and Settlement and Land Records), up-to-date tax paid receipt, earlier sanctioned plans (if any), property drawings, 2 copies of demand drafts, foundation certificate (if any) and a land use certificate issued by the competent authority (viz., Dy. Commissioner). It is mandatory that the building owner hires a registered architect who will draw a plan meeting the applicable bye laws. One can get a building approval plan within 4-5 working days if all the requirements are met, via the newly invented BBMP software- Automated Building Approval Plan. A Commencement Certificate is a legal document issued by the local authorities (BDA/BBMP & alike) after the inspection of the site. This document states that project meets the give criteria and helps in the commencement of a construction on a site by the builder. Failing to acquire a Commencement Certificate will result in the construction being considered illegal, levy penalties and can even attract an eviction notice. 3 copies of the R.T.C extracts, Village map, land sketch, certified copy of the land tribunal, zonal certificate, Title deed, no dues certificate by village accountant and Mutation Records (MR) copy. Khata is derived from the word ‘account’. It is an account of a person owning a property. It typically consists of (a) Khata Certificate and (b) Khata Extract. A Khata Certificate is mandatorily required for the registration of a new property and the transfer of a property. Khata Extract is nothing but obtaining the property details from the assessment registrar. It is needed while property buying and acquiring trade license. The Khata is widely referred to as A Khata and B Khata (Revenue records extract). ‘A’ Khata has properties listed under BBMP jurisdiction with legal property construction and ‘B’ Khata has properties under local jurisdiction with violated property constructions. One should avoid buying a B Khata property as it will be deemed as an illegal construction. Nevertheless B Khata may be converted to A Khata under certain schemes by paying penalty to the Government. Encumbrance means charges in the ownership or liabilities created on a property that is held against a home loan as security. An EC consists of all the registered transactions done on the property during the period for which the EC is sought. Simply put, it is a certificate sought for a particular period evidencing the property purchase/sale, the presence of any transaction or mortgage. One should submit a copy of the Sale Deed to obtain an EC. A person applying for an EC should fill in the Form 22, affix a non-judicial stamp and submit it to the jurisdictional sub-registrar’s office. Complete residential address, property survey number, property location, the sought period, property description, its measurements and boundaries should be mentioned in the Form. A nominal fee amount will be charged on a yearly basis. The time taken to obtain an EC will be between 3-7 working days or more depending on the period sought. Betterment charges are also known as improvement fees/development charges that are to be paid to the BBMP before a Khata can be issued. Currently the developers are entitled to pay a fixed amount as betterment charges to the municipal body. A receipt of the same should be obtained at the time of property buying. A POA is a legal procedure used to give authority to another person by the property owner on his/her behalf. One can either give a Special Power of Attorney (SPA) or a General Power of Attorney (GPA) to transfer one’s rights over one’s property. Receipts for property tax bills ensure that taxes for the property are paid up-to-date to the government/municipality. For properties falling under the BBMP jurisdiction, it is mandatory for property taxes to be paid up to date so a buyer could get a Khata issued in his name. It is therefore important for the buyer to make enquiries with the government/municipal authorities to ensure that all the dues are cleared by the seller. The buyer should ask the seller for the latest original tax paid receipts and bills and check the details of the owner’s name, the tax payer’s name, and the date of payment on the receipt. If the owner does not have the tax receipt, the buyer can contact the municipal body along with the survey number of the property to confirm the ownership of the land. Nevertheless, the buyer should also ensure that other bills such as the water bill, electricity bill etc. are paid up-to-date. When the builder applies for this Certificate, an inspection is carried out by the authorities to ensure that the construction meets all the specified norms. This certificate is obtained after the completion of the construction. It is important at the time of buying a property, seeking a home loan, before the builder allows people to take possession of the property and, for the transfer of Khata. Basically, it certifies that the project is ready for occupancy. While it is important to seek all the above documents from the seller at the time of buying a property, it is also critical you deploy a competent property lawyer for vetting of the said documents. Specific advice should be sought about your specific circumstances. Dear Sir, I am planning to purchase a flat at Ananth Nagar Phase 2, Bangalore. It’s a CMC approved project for G+4. Builder is stating CMC approval is equivalent to A Khata property. Also, they have provided necessary document file consisting Sales deed for the land, mother deed, plan approval certificate, POA, and other documents. They will also provide OC. The project was started some time in 2017 starting that’s why they are saying they have not initiated RERA approval. I was given a bunch of all legal documents (photocopies). Also, I have given token amount of 50K. Do you think everything is proper? Can I go ahead? I have planned to buy an apartment in Chennai. I am just proceeding with all documentation for a Bank loan. I understand bank will be doing a legal check on all documents. Though Bank does its due diligence, but it is always advisable that you go through your own legal checking to ensure that there is no discrepancy as well as all the documents are in place to sell the same (if needed by you in future). Yes, Builder may ask for a certain percentage of payment to be done before he shares the document with you (you need to negotiate on best reduction of the percentage) but ensure to get in written from the Builder that in case if there is any deviation noted and Builder is not able to satisfactory response/documents provided, Builder will refund the payment immediately. Ensure to get receipts of all payments done by you to Builder immediately. Also, check in Tamil Nadu RERA, whether the project is approved by them. I want to buy a land on Dodballapur Road. Buyer said that land is registerred with his wife’s name and every thing is okay. He developed the lay out of 4 Acre and salling in plots 30 * 50 etc. Can I buy ? What precaution need to take before give any peny to him ? I am not a local person hence more worried. Please guide. Please get all the property documents verified by a competent lawyer to understand the legal papers and any need for any other documents. Upon verification only, the same can be concluded whether it is good to go ahead or not. Also, ensure after the purchase that you duly mark the plot and fence the same and keep a regular watch to avoid any future litigation. I am planning to buy an apartment done by Sai Projects and Developers, project name is Vrushabadri towers near whitefield. its a G+13 floor building. RERA application is approved by Karnataka government as per the details given on RERA karnataka website. I am completely confused whether the property is legal or not as its being sold on very competitive price. RERA (Real Estate Regulation Act) confirms that the property is good at the present state to go ahead. Also, the RERA approval confirms that if there is any deviation noticed by the authority, one can file complaint to the authority for any compensation/remedies. However, we suggest that the property documents to get checked through a legal expert to reconfirm if there is any missing links in what they committed and what you will be getting. Ensure that all commitments by the Builder to you should be in writing, so as you can take legal recourse for any deviation/delay by builder for the property. Hi Sir, I am planning buy a Re-sale flat. Understand from plan approval that the flat is approved only till 2nd floor. however the builder is constructed the third floor as well. But the proposed flat is in 2nd floor. Is it advisable to buy the flat since it is fall under the approval category. Please clarify. And also would like to know how to know the flat is an A khatha property. Because your earlier blog stated that if land is A katha it does not mean that flat also “A” Katha until there is no deviation. If so please advice. How to find whether it is a “A khatha” flat. If the approval is for 2nd floor and the construction was done above that, the whole building comes under illegal construction. If there is any demolition drive taken by BBMP at a later time, they will surely raze the 3rd floor/above and then there will surely be some affect to 2nd floor. We suggest to not to approach such properties for purchase. Yes, the land having A Khata doesnot gaurantee constructed property also to have A Khata (as in that case, the construction shoudl be within deviation limit as prescribed by BBMP and based upon the approval sanctioned towards the same). Please ask the seller to provide you with A Khata for the bifurcated units and act accordingly. Hope the property is under RERA approved list (if not, please avoid this project and move out). Also, if you had booked the flat (during their pre-launch offer and made any margin money as advance), you can ask them to share the property documents before you pay further so as you can do your legal due diligence. You have all rights to ask towards checking the property papers before you pay this amount and go for any sale Agreement with the Builder. Any project, before starting, need to take approval towards the construction process and clients can approach to RERA for such complaints when one is not sharing the property papers to satisfy client’s legal scrutiny. Hi, can you please give suggestion about bsnl employees greater green project in bangalore. We don’t have any advise or suggestion towards any particular project. Only advise is to ensure that you get all documents checked/vetted through any legal expert before you proceed on the deal. We can help in legal checking of the same (we do have qualified and expert property lawyers as empanelled with us) and you can send us an email at services@homeshikari.com for more details on the service. I have purchased a property under BBMP limit and got it registered in Registration Office. the site no mentioned 90 instead of 91 and property is safe. is it alright to live as it is . because one who sold 3 brothers and mother to bring all three togather is very difficult . but, all three are saying dont worry property is with you. please advice me . Please get the rectification deed (if the sale deed is having incorrect details) done immediately else you will face issue at a later point. Also, the Khatha for the property can’t be obtained as the Sale Deed is reflecting for other site. If the Sale deed is correct and the records in registrar office is wrong, please get the same corrected at Registrar office to avoid any future issues (while selling the same, as the plot 91 will never reflect in govt. records). Bro sir am planning to buy a flat at hasbun road bangalore . it is A khatta with 5 floors …Only 4th floor is empty remaining flats are sold out.. owner is telling g 4th and 5h floor are illegally build..Being it’s very posh area is it okay to buy 4th floor..Pls.advice.. If the two floors are illegally constructed, makes the whole building considered as an Illegal construction. A Khata may be for the land and not for the individual Flats. This makes vulnerable if tomorrow BBMP decides to demolish all such illegal construction and you being in 4th floor, this will surely affect the same. We advice on such situation to avoid such property even though it may be in posh area. Really helpful information thank you so much for explaining the things clearly. I am planning to buy a land i got EC certificate for the property. In EC document they have mentioned like “I also certify that save the aforesaid acts and encumbrances,no other act & encumbrances affecting the said property have been found”. 1.So can i know is there any issues with the property ? 2.Do i need to verify all the original documents and mother documents before proceed with agreement (advance payment)? As they are pushing me to give the advance now. 3.Can i make agreement with normal stamp paper ? or it should be registered through register office? 1) If there is any registered transaction happened for this property, it is noted in the EC. Apart from that, if there are no other transactions registered with the Sub registrar office, you may consider that as fine to go ahead (subject to all other documents states that there is no other issues). 2) We suggest to get the document checked (photocopies) through a competent lawyer and also match the photocopies with originals (if you are unable to check the documents verified in original, which is tough unless you get a certified copy for such checking). This you should get checked before Sale Agreement with the Seller. You can pay a nominal advance subject to if the documents are not legally cleared through, you will get back the advance amount. 3) Suggest to do agreement registered to avoid any legal issues on later date. 4) Please consult the loan processing bank for this as they will be able to guide the same. I have purchased an apartment property in Chennai corporation limit. The land was given for construction through JV. The builder got GPA from the owner of the property for construction. As per the builder, 1 flat at ground floor, 3 flats at first floor and 2 flats at second floor (total 6 flats + car parking). 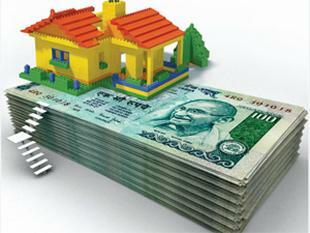 Since I went for housing loan from a reputed bank, the legal formalities were done by the bank and the loan amount was sanctioned and disbursed. Land owner opted for two flats 1 at first floor and the other at second floor. On seeing the construction, the owner’s flat was sub divided in to two with two main doors. (Each of having nearly 800 to 900 sq ft). 2. If so, is it necessary to get any approval to be got from the authorities? One need to check the Approval plan to confirm on such deviations. This is permissible (provided the violation is not external) and don’t hamper the building safety regulation. Please check the BBMP plan. if its showing 8 units in 4 floors are approved, there is no harm in going ahead. But if you see any deviation, please be cautious. Any deviation can be either bought under regulatory authority by paying fine (if applicable at a later date) or may lead to demolition by the authorities. Please consult a competent property lawyer with the documents to ensure that all other property documents are in place. Thank you for your blog and site. Its really helpful. Planning to buy an independent house in Bangalore. I have documents being verified by a lawyer and there is a link missing in 1961 post which its up to date. Had 2 questions as lawyer said i have to take a call. 1. Will it cause any issues since post 1961 all other documents seems to be in order?? 2. The land is A katha but the house is B katha. Builder is saying they BBMP is not issuing A katha for individual house since its 1200 sqft. Please advice. 1) In case, tomorrow if you decide to move out of this investment, new purchaser if demands for this missing link document, how you will produce the same. So you may need to sell this to someone who donot demand for this missing document (which means also, that your expected return on investment may be low as purchaser may be negotiating based upon certain document in-availability). Without knowing what kind of document is missing, we are not in stage to confirm you on the importance to have the same or not with you. 2) If the constructed house is not A Khata, means either is deviation is there (during and after construction) or there may be reason for non acceptance of Betterment/improvement charges now by BBMP. Certainly, we will not suggest to go ahead as the liability in both the situation, if BBMP decides to levy penalty or demolish the portion of unauthorised construction (if any) will vest upon you. Probe the reason from BBMP office on why they can’t issue A Khata for the property and take judicious call based upon that. Our this blog content is mostly applicable for Bangalore jurisdiction and different cities/places do have their own process to follow. If the project is approved by Jaipur Development Authority, is good enough on this (as may be issuance of approved map may not be part of the local laws in Jaipur). However, for better clarity on taking a call before purchase is to do a through legal checking of the property papers through a well versed property lawyer in Jaipur, who can be the best guide in letting you know. Please ensure to cross verify all documents from a well versed property lawyer from your local area before taking the final decision. Ask builder to give you a copy of all the property papers that he do have and based upon get this cross checked (on any additional requirements). Documents vary from place to place and the generic list is only shared in this blog page. I am planning to buy a 2BHK flat in an apartment which is located in Gram Panchayat, HMDA approved. Now please guide with a check list, like what are the documents need to be asked from a builder, so that i am safe side in future. Please ask Seller to submit all property documents copy to you and ensure that you go through a legal verification of the documents by a competent lawyer. If any further document is needed, lawyer will advise you. The general list is given in our Blog article already, other than that any other document can be known only after legal scrutiny. I am planning to buy a flat in a apartment which comes under gram panchayat. Land owner got this particular flat as a land owner share, and it was not registered to any party till now by the owner and it’s 7 years old property. When I buy this flat do I have to pay GST on the registration amount. The owner says as he is got this by land share and if he sells it to me and I will be the first owner and GST have to be borne by me, how is this correct? And do I need to pay GST on the registration amount. Pls advice. Buying a land owner’s share in an apartment is always a complicated business because one needs to review the JDA (Joint Development Agreement) with the builder, the terms there and the allotted flats to the land owner and whether they are shared amongst multiple family members etc. GST will be applicable but on what quantum has to be reviewed. Would advise you to consult a competent lawyer to ensure that your investment is safe and that you are not overpaying on something. Just a word of caution that most disputes and litigation happen between land owners and the builders post the development. But if you are doing a thorough check through a lawyer and ensuring all documents are proper, it shouldn’t pose a problem. Hope you do have an Sale Agreement with the Builder. If that is not there, ensure that you do have a tight agreement with the Builder that if Builder delays in making the Flat ready for completion, there is stiff penalty for the same. Also check whether the Builder applied for RERA registration. Apart from all this, you can always keep it a condition to hold certain percentage with you unless you see progress of the completion of the building and final amount can be paid after the construction is completed and before you go for Sale registration. But in all cases, ensure that you do have tight agreement with the Builder in writing (ensure to get this vetted and checked by a legal expert) so that you can use this towards any legal recourse at a later point of time. I am panning to buy a plot , in which seller telling it’s A khata but when we asked betterment fee paid receipt he is telling not available, we heard that Bbmp will issue a duplicate A khata certificate by taking some bribe, is it true? If so how we can confirm whether it’s original or duplicate? There is no other way to check whether the Khata is genuine or not unless cross checked through BBMP local office. You may obtain a 2nd copy of the same Khata to ascertain its genuinity. BBMP by itself never issues any fake Khata but it may be done through in nexus of some local agents who do this way for making money faster. Ensure that the GPA is registered in local Sub Registrar Office and the GPA details are reflecting in the EC (Encumbrance Certificate). Apart from that take a No Objection Letter from actual owner that he is fine to get the property sold to you through his registered PoA holder. Based on that you may go ahead on the purchase. I am planning to buy a flat in Electronic City, Bangalore. Its a small apartment with 20 flats (G+4) which is under construction now when i asked the builder about the document he said it come under CMC Khata(City Municipal Corporation) and they do not provide OC and CC, is it safe to buy such flats and if yes what all document i should required to get from such builder. Please let me know if you have any service or can help me to verify the documents from this or any other builder. If this falls under CMC limit also, there is a Building Plan that is approved towards initiating the construction. Please ensure that the construction is done as per approved plan. Also, get your property documents verified by a competent lawyer and ensure that there are no missing links. If you need assistance towards legal opinion service, contact us at 080-3047 4444 or email us at services@homeshikari.com. I am planning to buy an apartment near Electronics City, Bangalore. The name of the property is Ajantha Prime. The builder has shared the documents for legal verification. The document contains the BBMP Khatha certificate, however, I am not sure if it is ‘A’ Khatha or ‘B’ Khatha. Is there anyway to find out if the Khatha type from the Khatha certificate ? If the Khatha mentions anywhere on top as “B Registrar Form Extract”, then its B Khatha. If it mentions as Khata Certificate, its A Khatha. However, we will advice that you check the legality of the documents by a competant property lawyer rather than deciding upon by yourself. All documents have linkages and a better lawyer can provide you many other insights, which you will surely miss, if you try to look at them by yourself.